Kawasaki Bayou 220/250, 1988-2010. Here is the ATV Repair Manual You Need. Own a Kawasaki Bayou 220/250? 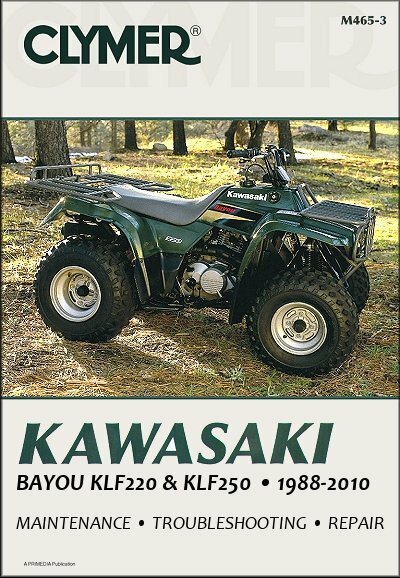 This manual is for your Kawasaki Bayou 220/250, and covers the years 1988-2010.